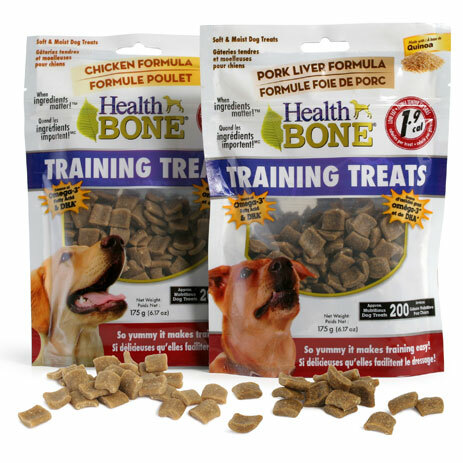 Health Bone Training Treats are made with super healthy ingredients like honey, Quinoa, and pumpkin. Plus they contain omega-3 fatty acids* and DHA*! Best of all, they are only 1.9 calories each so you can reward your dog often knowing you are giving them a handful of health and not a handful of extra weight.